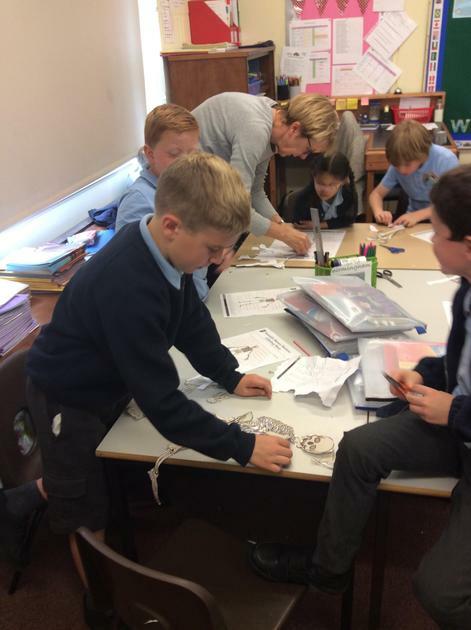 Some of the activities we have been enjoying in Science week Thank you to all of our helpers. World Book Day...great costumes and sharing the amazing books Oak class have written! 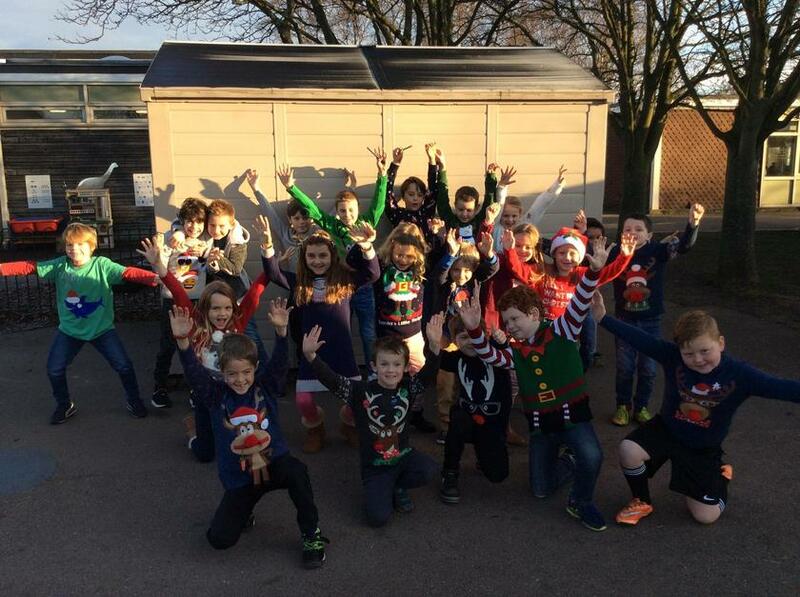 It's Christmas Jumper Day! 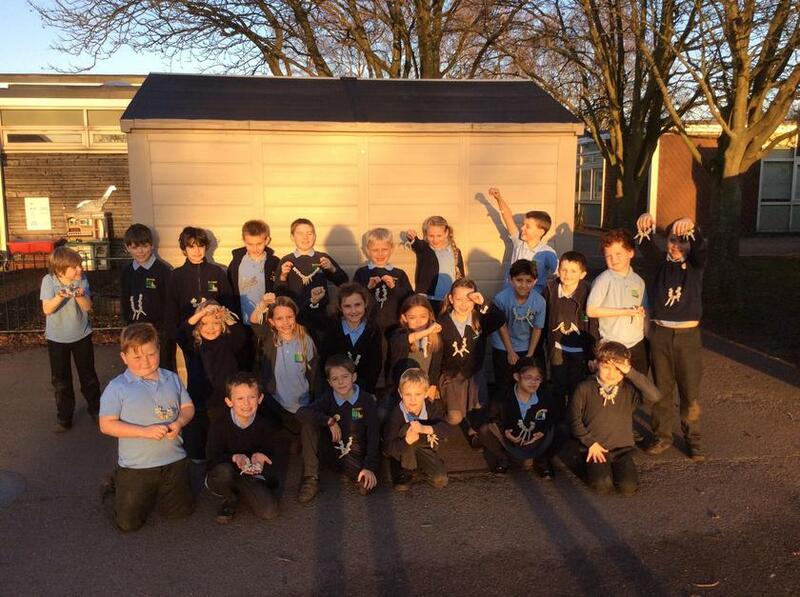 Oak Class would like to wish everyone a very Happy Christmas and a peaceful New Year! 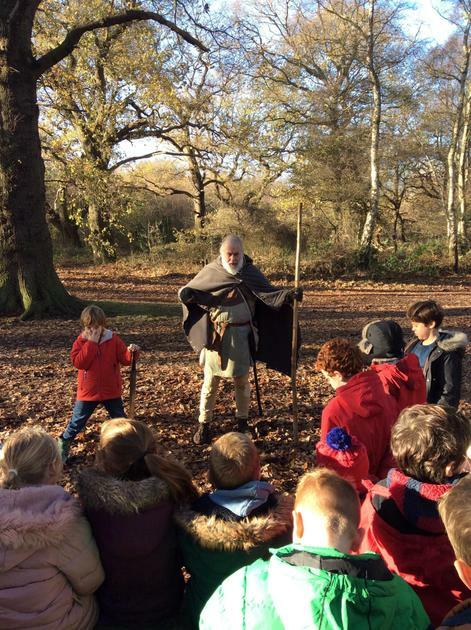 This half term we have been studying the Stone Age. 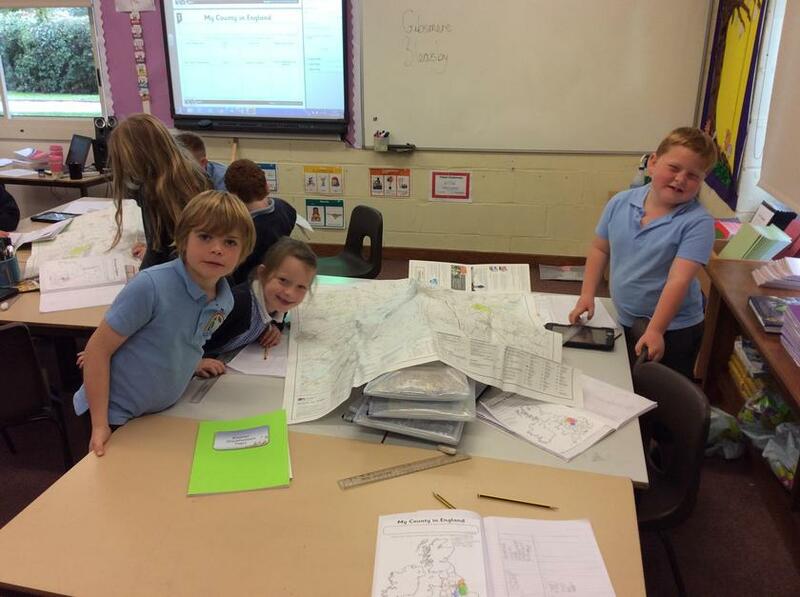 The children have researched and designed information leaflets on Stonehenge. 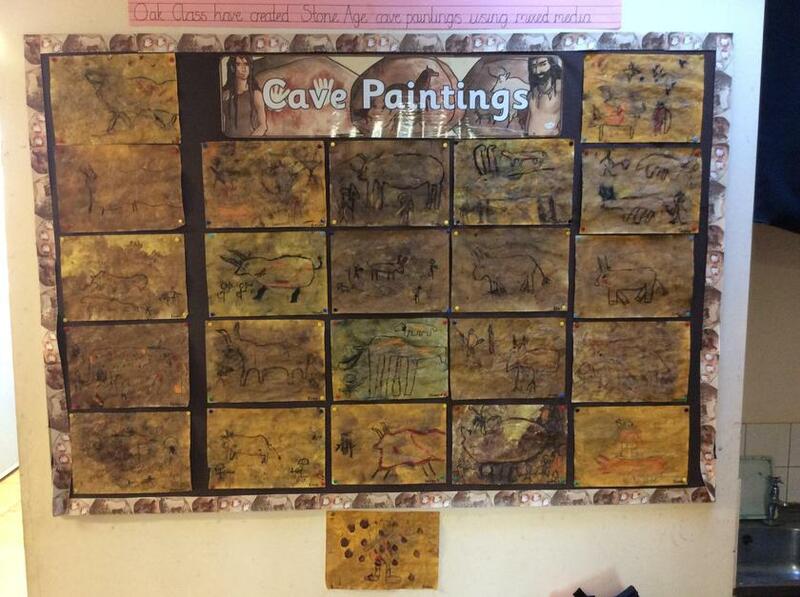 We have also researched different cave paintings designed by the Neolithic people and re created our own Stone Age paintings using mixed media. 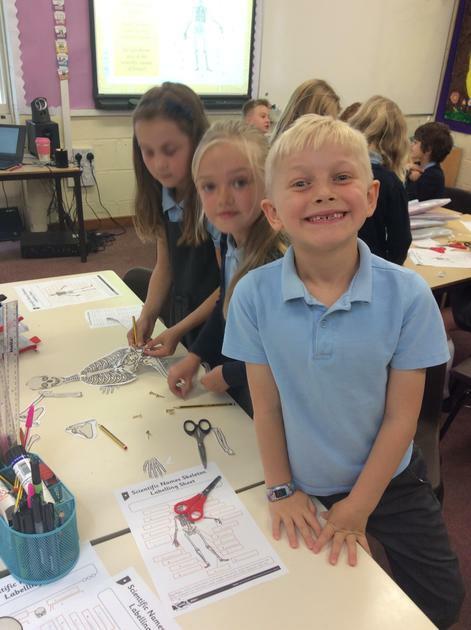 We have also made our own Stone Age jewellery to look like bones and mammoth tusks. 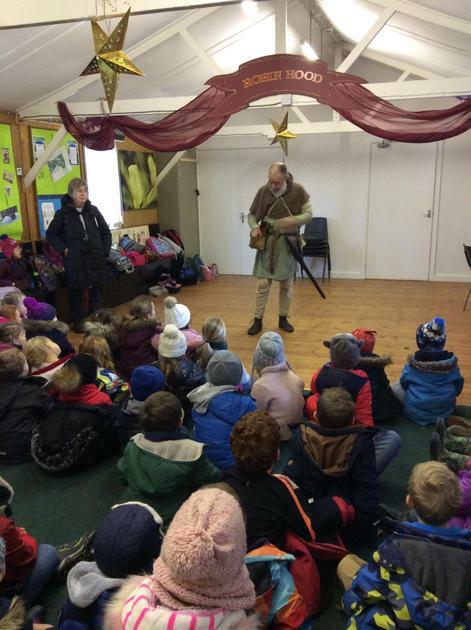 Oak and Maple Class had a wonderful day at Sherwood Forest learning about Robin Hood and life as an outlaw. 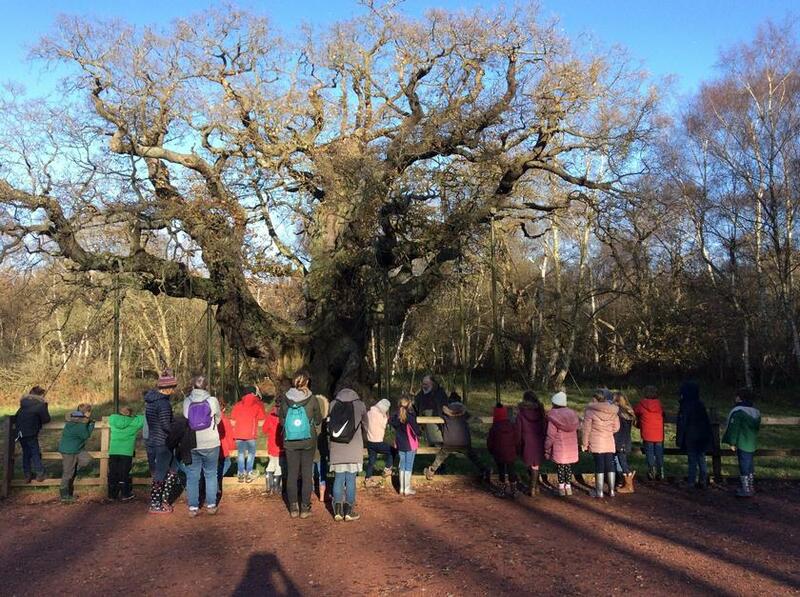 The children listened to stories from Ralph about Robin and his Merry Men and went for a walk to the Major Oak. 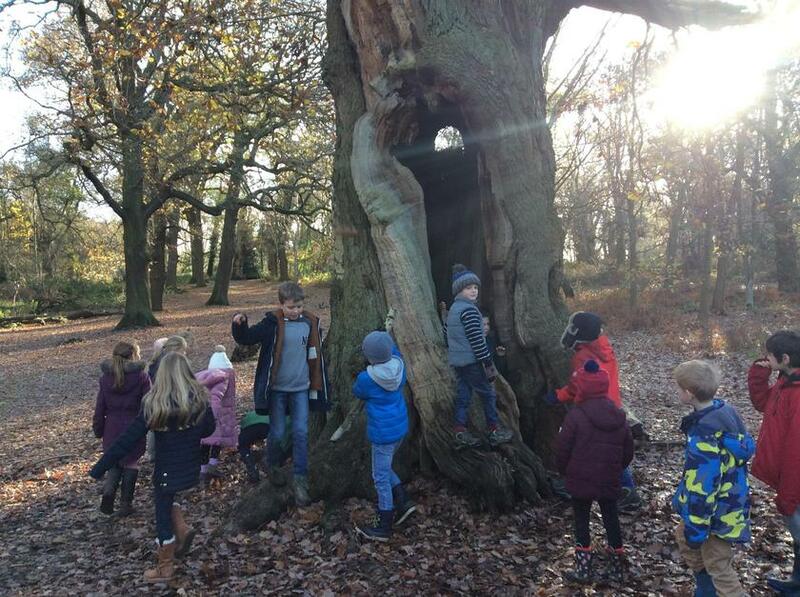 The children also got the chance to do some orienteering. This week we have been doing work on Black History. The children have been researching about a famous black person who has made a difference. Bemma also came in and did some dancing with us which are famous in the Masai and Mombasa regions of Kenya. 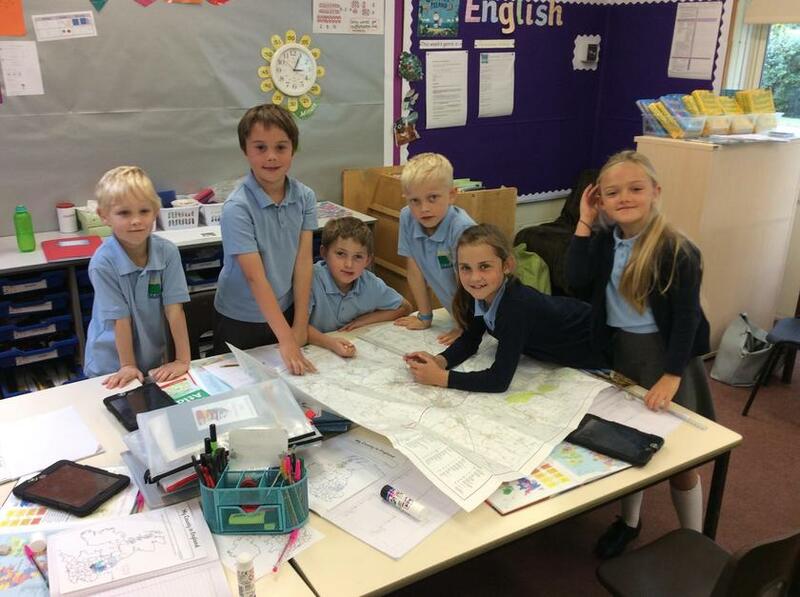 In Geography, we have been learning all about the British Isles. 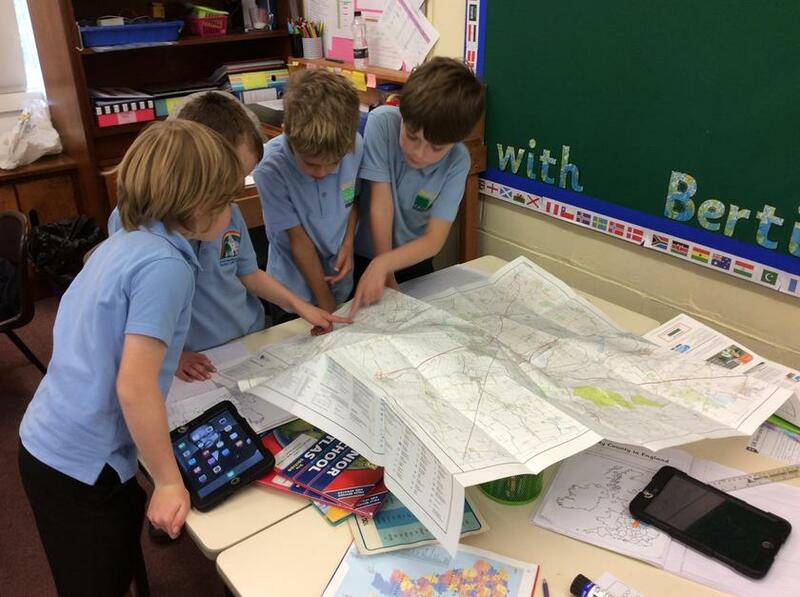 The children have been using atlases and OS Maps to locate rivers, towns and important landmarks. 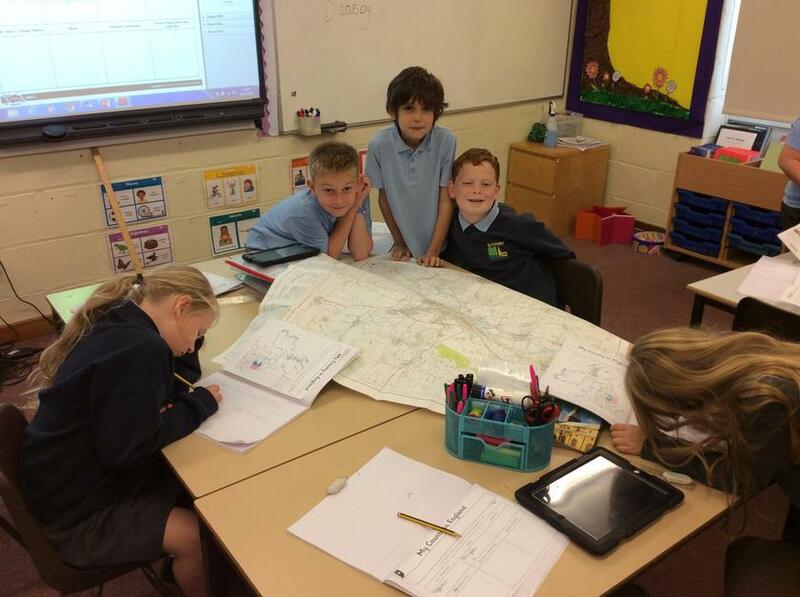 We have been looking at the 7 different continents of the world. We have also been learning about the Northern and Southern Hemisphere. We had a great time using half melons to represent half of the globe to locate countries in both hemispheres. 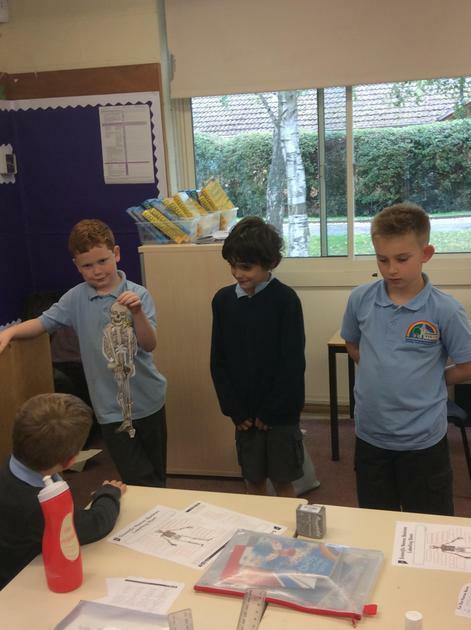 In Science we have been studying the human skeleton. 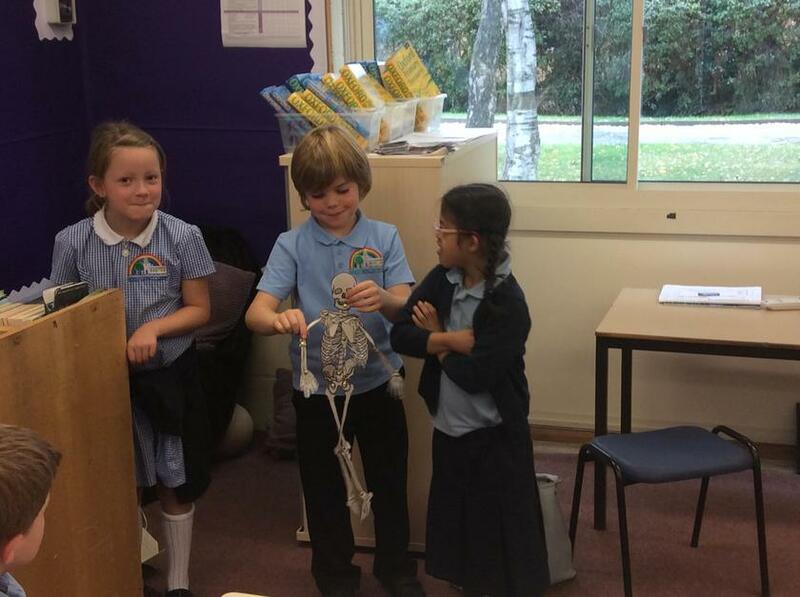 The children worked in groups to piece all the parts of the human body together. We had fun deciding which group got the closest to a real life skeleton! In D & T we have been designing different juggling balls. The children have been exploring and evaluating different types of juggling balls. We have been learning about decoration techniques and had a chance to use tie dye! Oak Class have been studying Diwali this season. We have discussed the story of Rama and Sita and looked at Rangoli patterns. The children have deigned their own symmetrical Rangoli patterns using dotted paper. They have finished their designs off using water colour.